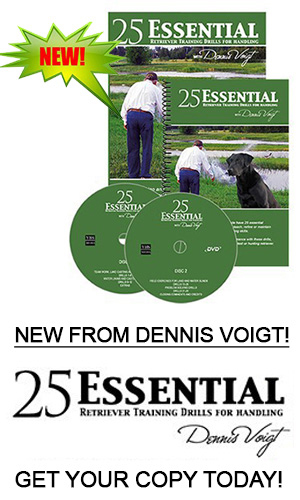 Even if you have our Training Retrievers Alone DVD and book, you will find value here. Methods to address Training Problems with set-ups while training alone. A guide to some efficient ways to run marking set-ups that will save time and set-up effort yet enhance marking skills. 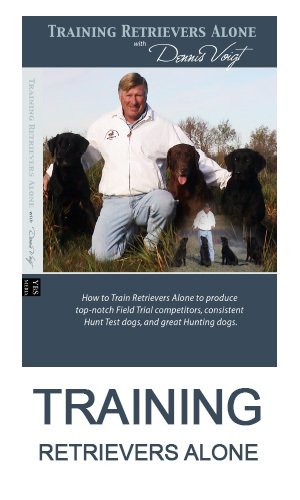 Includes tips on running the same set-up without moving marks for different levels of dogs. The Valley drill was designed to work on advanced marking and blind skills while training alone without remote devices. You can take the principles and apply it to many types of terrain, various distances, various concepts and different levels of dogs. Our Basic guide to the different methods of throwing marks by yourself. each method has it's advantages and uses. Learning to hunt in a tight area and focusing on the exact location of a mark are two key concepts. This article describes drills to do that either with one thrower or alone if you teach Send Backs.